Do you want to achieve long-term goals like paying off student loans, buying a home, paying for college, or saving for retirement? Living below your means provides the long-term savings to make these goals possible and achieve them that much quicker. Remember: your long-term goals are more important than a cushy lifestyle. Many professionals find themselves trapped in careers they don’t want, unable to pursue more meaningful or flexible endeavors, because they lack the financial margin. 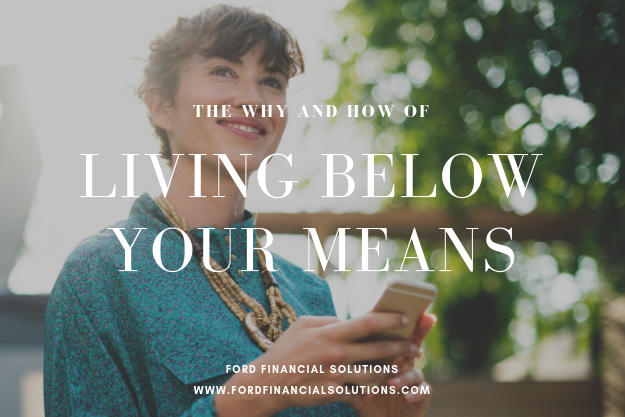 Living below your means gives you financial flexibility so you are not locked into a particular job or compensation level, opening the door to a career, endeavor, or venture that is truly best for you and your family and not just your bank account. If you live close to the margins, like the nearly 80% of Americans living paycheck to paycheck, unforeseen expenses like medical bills or home repairs can send you into financial distress and debt. Living below your means gives you a financial cushion so you can expect the unexpected and be financially resilient, weathering life’s unexpected storms without sacrificing your goals. Many of my clients would love to give (or give more) but feel they have no margin for it. Living below your means allows you to increase your giving — and, along with it, your own sense of fulfillment. This may mean living in a less luxurious apartment or house, cooking instead of going out, drinking the house wine instead of the $18 dollar Napa Valley cabernet, vacationing with an AirBNB instead of a 5-star hotel, canceling your $200 cable package in favor of Netflix and Amazon Prime, and IKEA or used furniture instead of that artsy piece from SoHo. As your income increases, the natural response is to spend more on your lifestyle—after all, you’ve earned it! Reject this lifestyle creep. Commit to maintaining the status quo even as your income increases, and you’ll build in a long-term strategy for extra savings. Likewise, when you finish paying off any debts, don’t rush to replace those debt payments with a bigger rent bill or a new mortgage—save that newfound margin! Stick with that modest lifestyle and remember that the best things in life are free. Set up regular transfers from your checking accounts to your savings account. It’s harder to spend money that’s not sitting in your checking account. If you’re new to saving, the amount you save is less important than the act. Establish the habit and trust that saving is worth the effort. Eventually, aim to save at least 10% of your pre-tax income. Small efforts add up over time. Going from saving nothing to saving $20 a month may be one small step for man, but one giant leap for your financial habits. Most people overspend not due to lack of discipline, but lack of awareness. 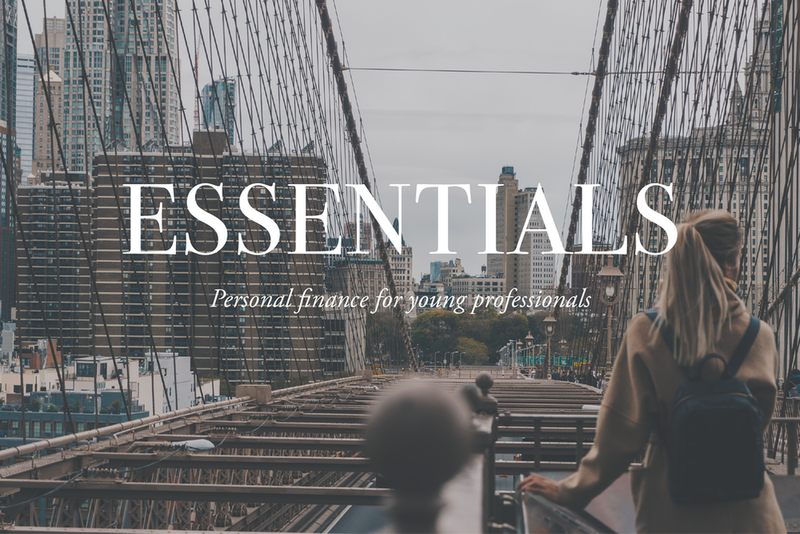 In this age of credit cards, 1-click ordering, automated monthly billing, and ATMs on every block, most people have little to no idea how much they are spending and on what. The more aware you are of your spending, the more control you’ll have of your money. Use Mint to track spending and aggregate your accounts or review credit cards and bank statements. Review spending at least monthly, or even weekly in the beginning or for categories you are most prone to overspend. Take a big picture look at spending quarterly and annually (especially important for categories like travel, gifts, or home improvement that are more annual in nature). Check out my Mint tutorial videos for help getting started with Mint. Research shows human beings struggle with long-term goals because we actually see our future self as a different person. Set and regularly review goals to help you stay focused on your long-term priorities. 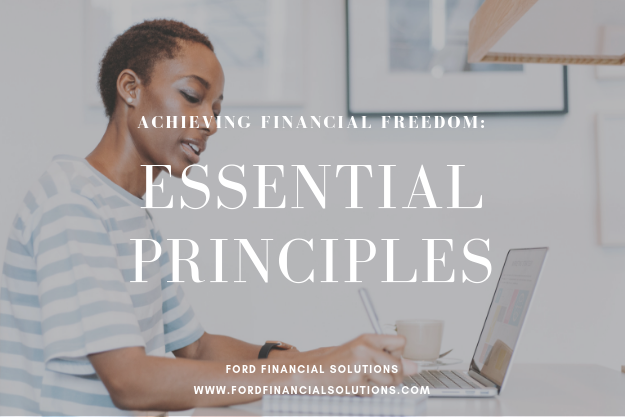 If you can break each goal down into bite-sized pieces and actionable steps, it will be easier to stay committed to living below your means today for the sake of financial health and a brighter future. At the same time, avoid becoming an obsessive penny-pincher. If all we think about is the long-term, we undervalue today. Thoughtfully seek the right balance between appreciating the present and wisely planning for the future. Here is a quick video overview of Mint and the features I think you'll find most useful. Check out my Mint tutorial videos for more help on getting started with Mint.